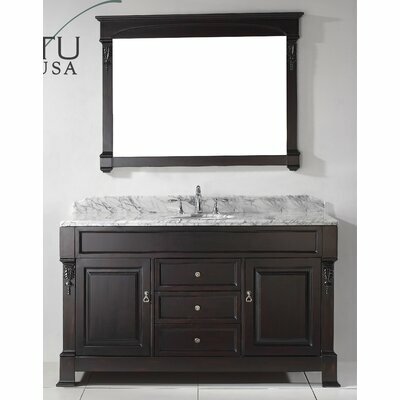 How much does a bathroom vanity and installation cost? 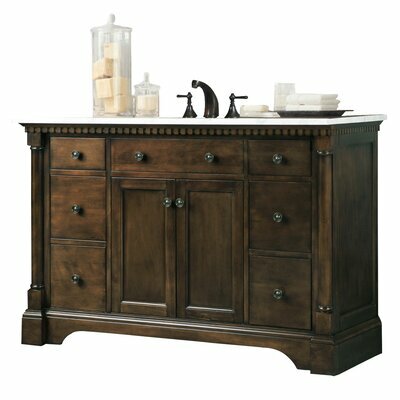 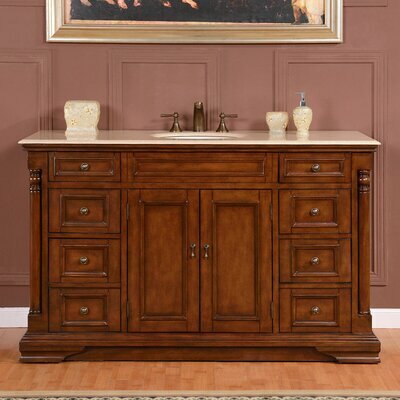 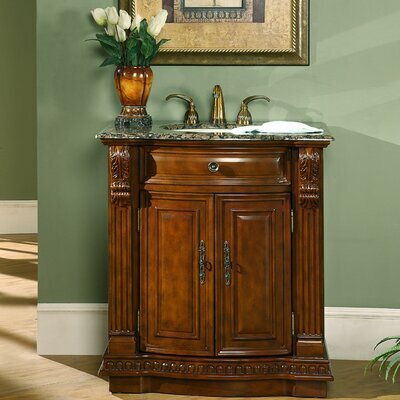 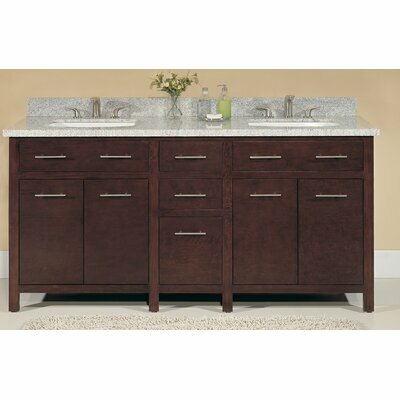 The beautiful chestnut finish, raised panels and great storage design of this vanity will surely add a touch of attraction to your bathroom. 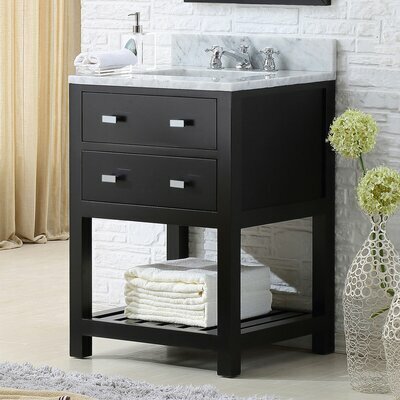 With elegant, graceful, zinc alloy drawer and door bar pulls and contemporary double sink vanity with a modern flair adds style and sophistication to your relaxing and romantic bathroom. 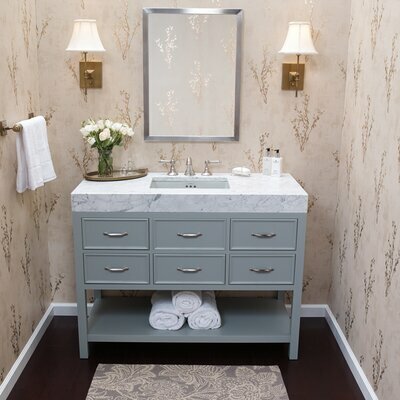 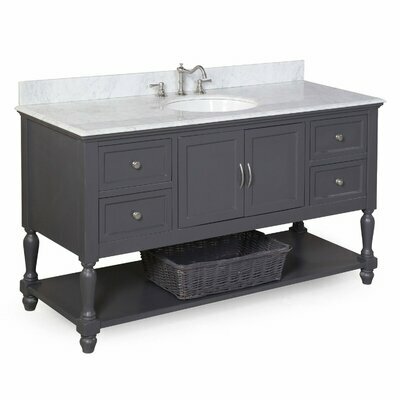 This unique vanity features a luxurious White Sand Marble counter top. 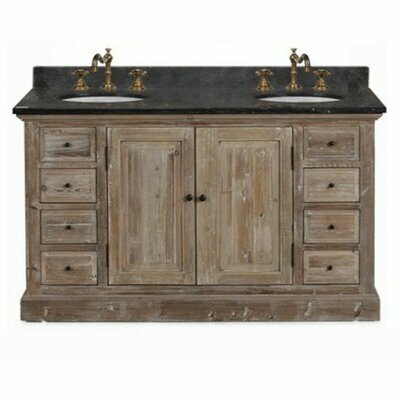 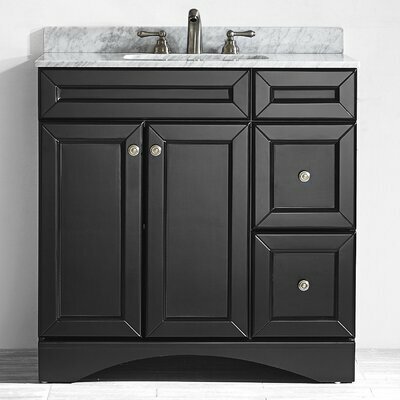 The side by side porcelain sinks set in a polished marble top add to the extraordinary value of this vanity. 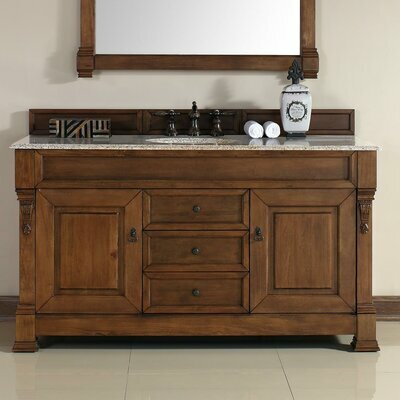 Wood vanity has 4 doors with soft close hinges and 4 functional drawers allowing for plenty of storage space and easy access.